​What would work be like if you were more creative? If you and your colleagues engaged in more creative collaborations? ​If your organization had a culture of innovation? 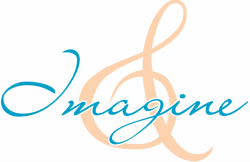 Imagine & offers a range of services to increase creativity and innovation among individuals and groups. All services are solidly grounded in cutting-edge creativity research, which has clearly shown that creativity is a trainable skill with tangible benefits.